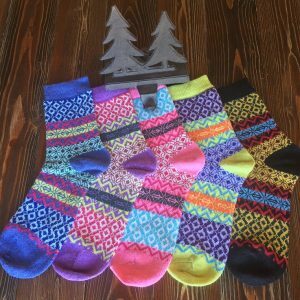 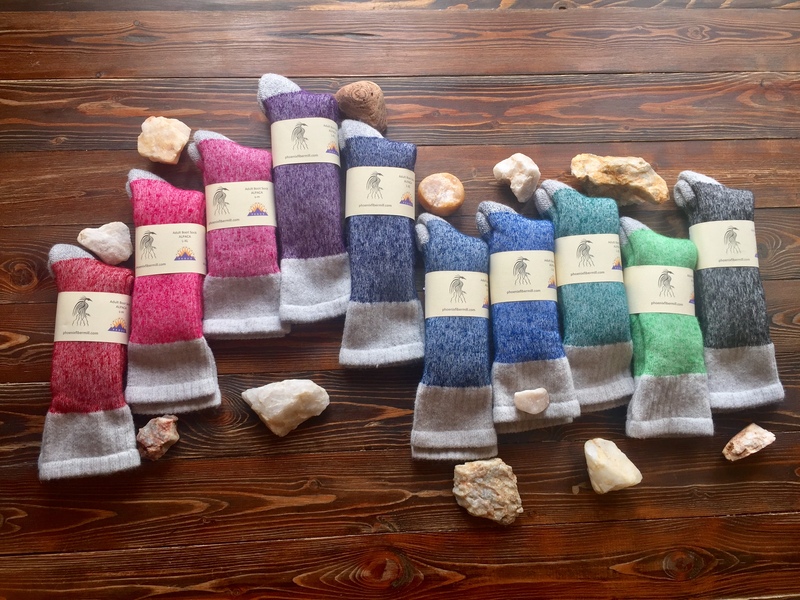 The ultimate ski and hiking boot sock, the Rockies will keep you warm during the cold and comfortable during those long hikes. 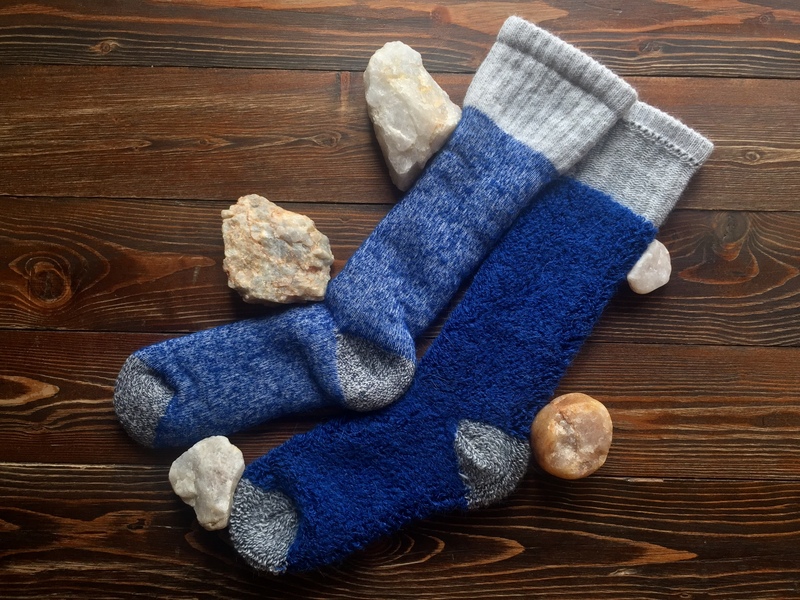 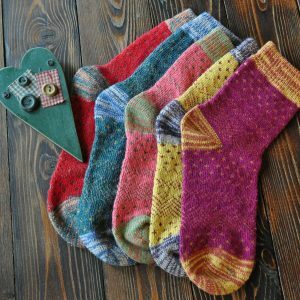 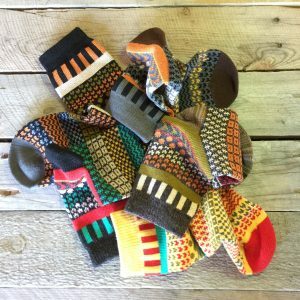 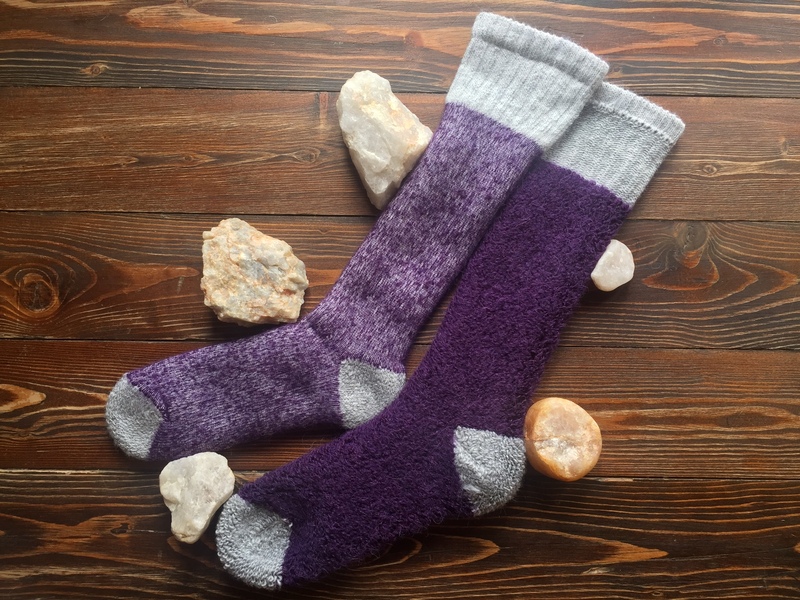 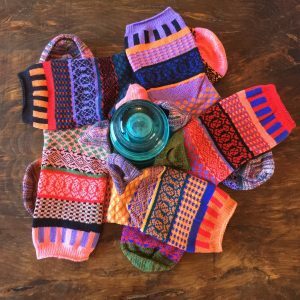 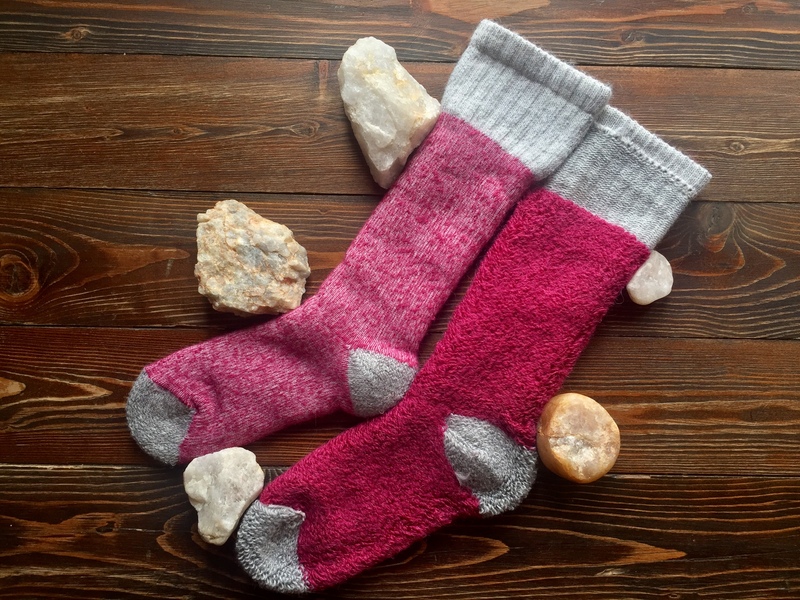 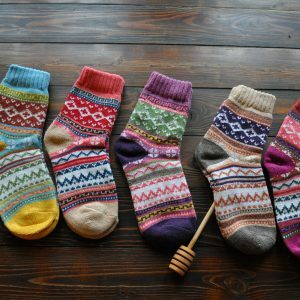 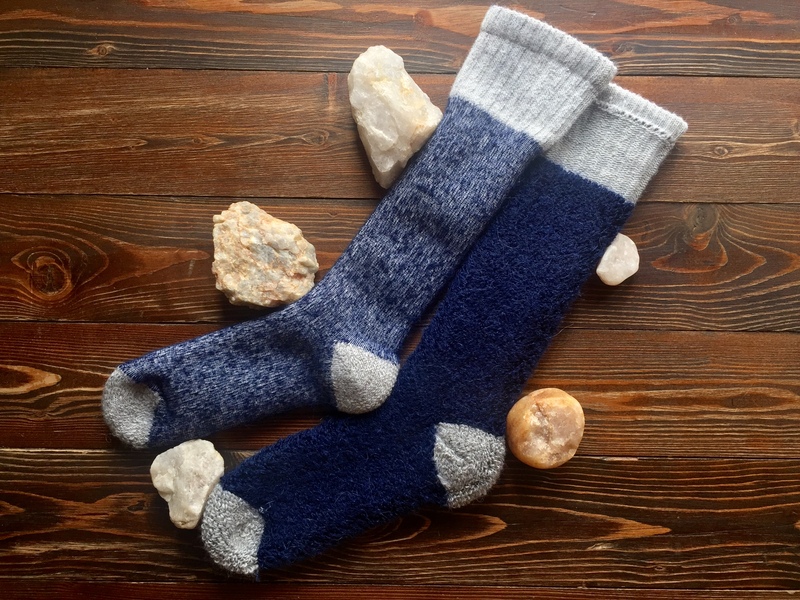 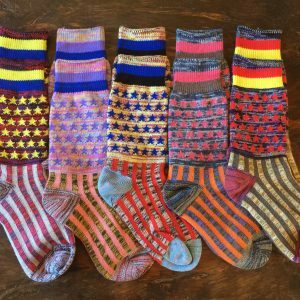 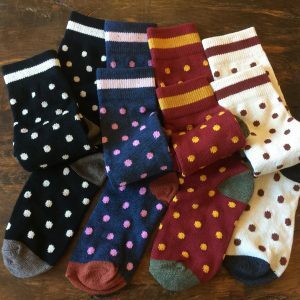 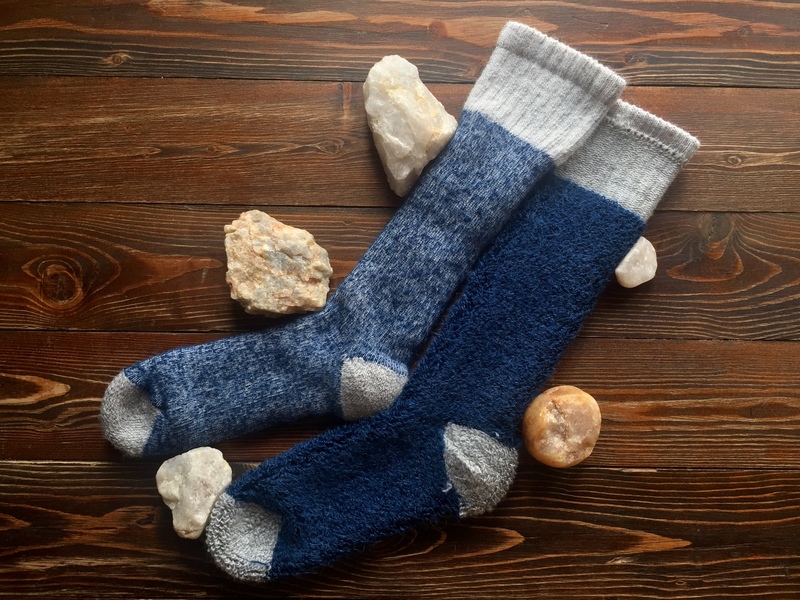 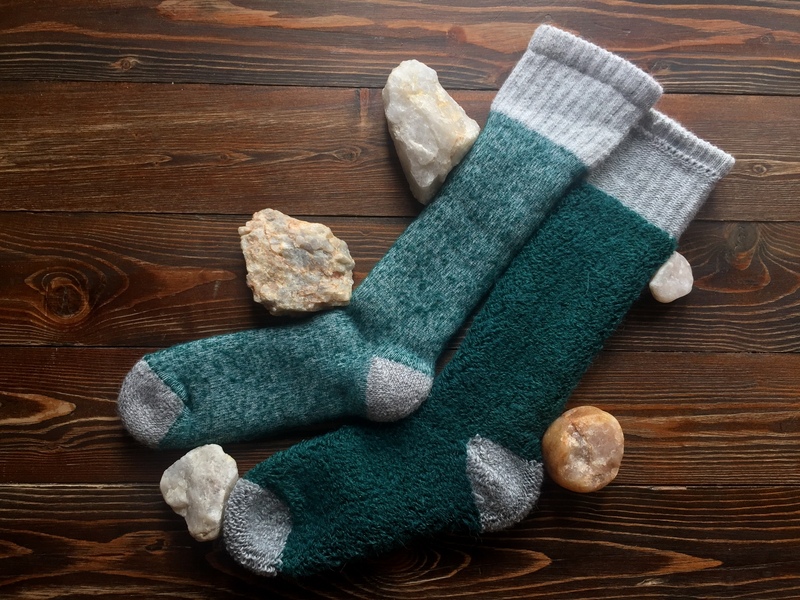 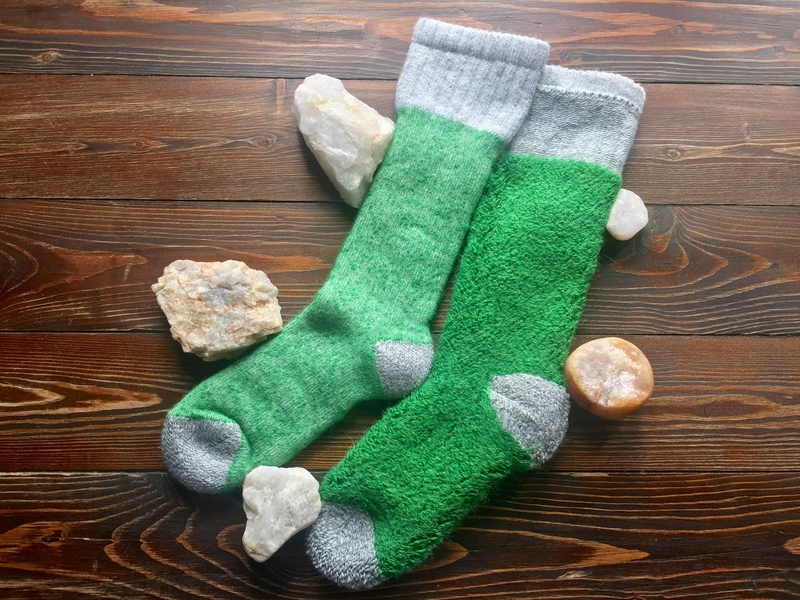 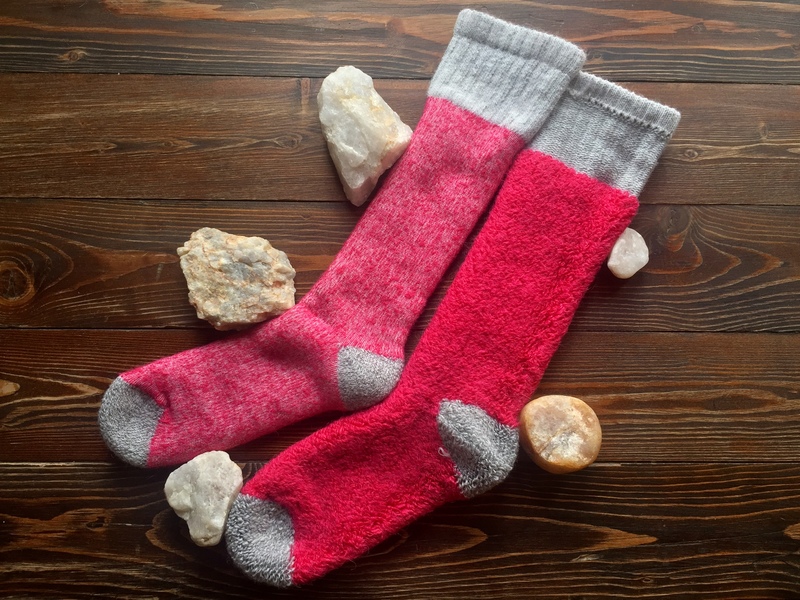 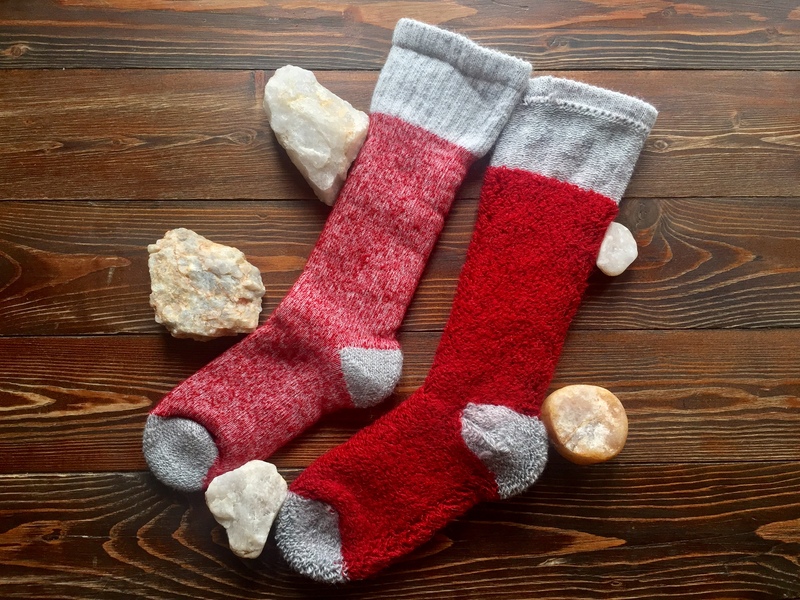 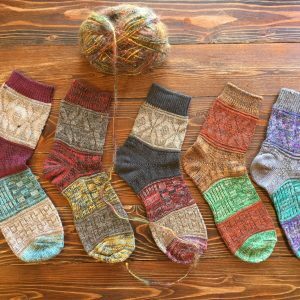 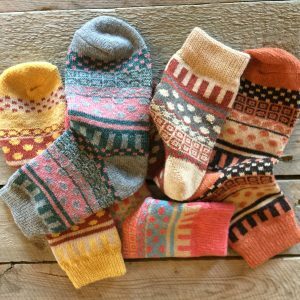 The super comfy socks feature a terry that runs from the toe almost to the top of the sock! 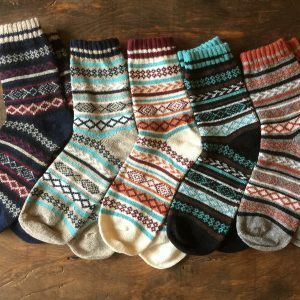 In addition, they also have sport our high splice in the heal and toe for durability. 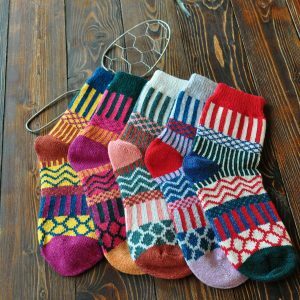 Just like their namesake, they are tall, colorful, and beautiful. 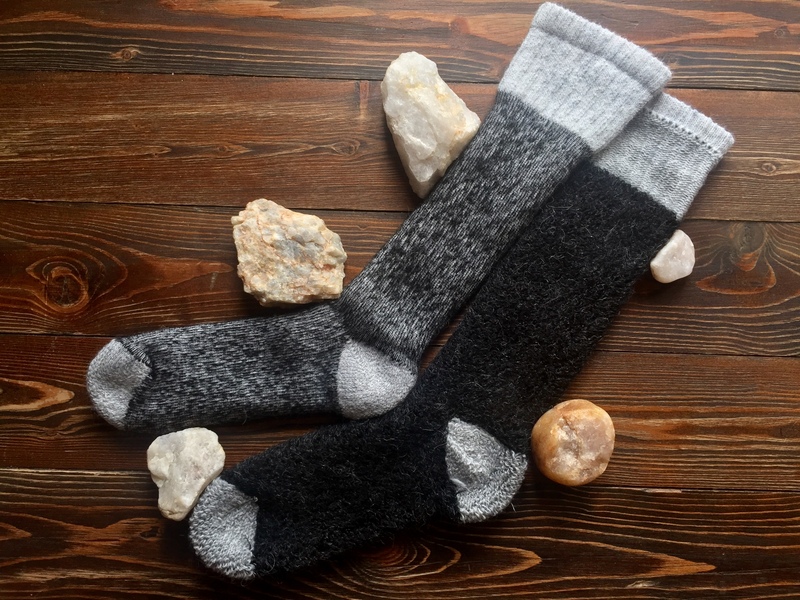 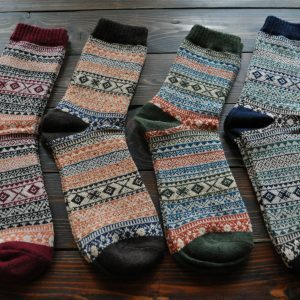 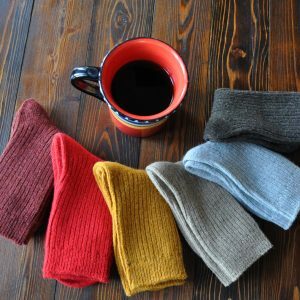 They contain: 60% alpaca, 20% nylon, 10% merino, and 10% lycra.